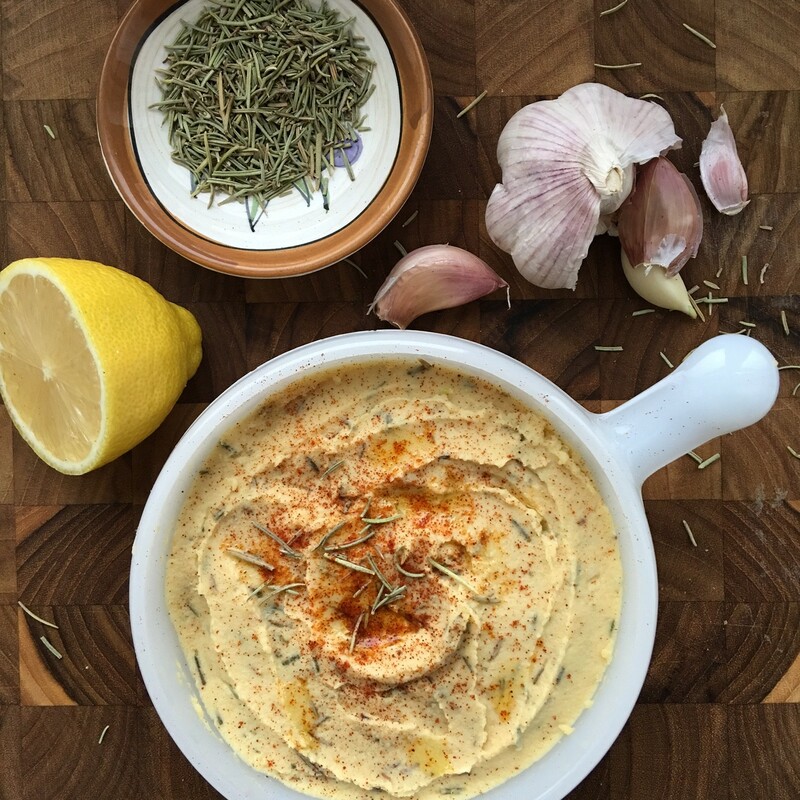 Foregoing the tahini called for in many hummus recipes means dropping lots of fat without sacrificing the creamy texture or rich flavor. Add chickpeas, garlic, lemon juice, 3 tablespoons of the olive oil, salt, and rosemary to a food processor. Blend until smooth and creamy, stopping to scrape down the sides of the bowl as many times as necessary until everything is well blended. 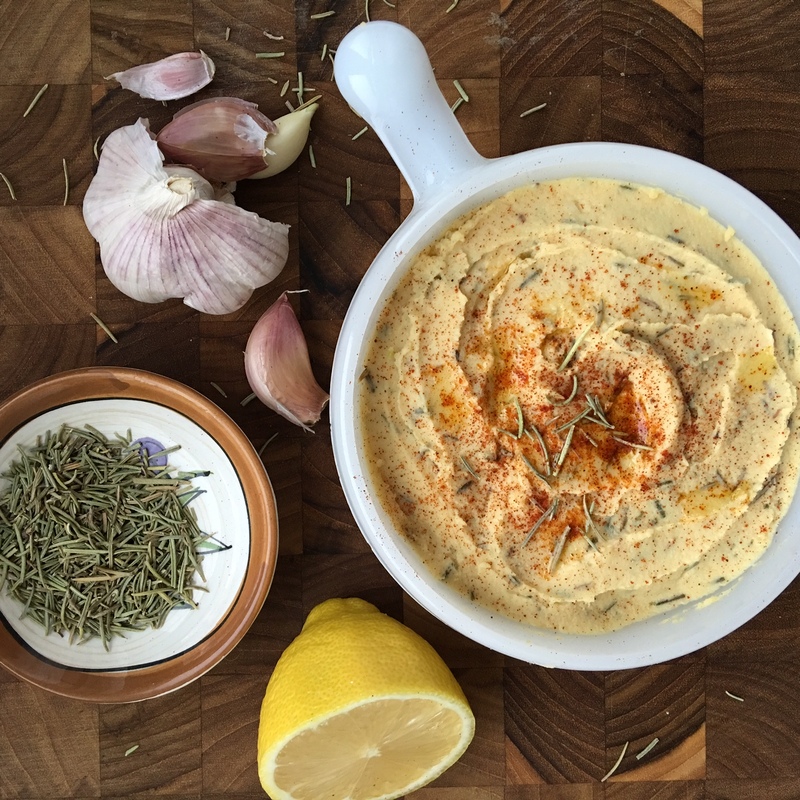 If needed, add some of the reserved chickpea water one tablespoon at a time and/or the remaining tablespoon of olive oil and continue blending until hummus reaches your desired consistency. Transfer to a bowl. Drizzle with a touch of olive oil and sprinkle with paprika or smoked paprika before serving (if desired). In Appetizers, Side Dishes, Snacks, Soups, Sauces, and Such. Bookmark the permalink.